Kappa is powered by an improved version of the Scott Russell Exact Straight-Line Mechanism. 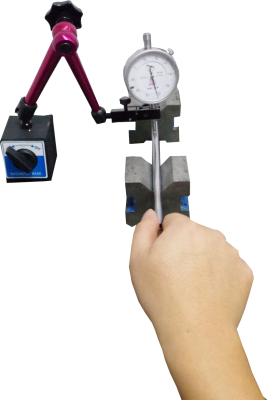 Used in the automobile industry and in pick and place operations as a robotic manipulator in manufacturing industries, this proven technology guarantees precision and quality consistently. Why settle for less when you can get more? Kappa’s large build area of 200mm x 200mm x 200mm comes with the highest value at lowest cost to you. For you and us, quality is of utmost importance. To ensure that there is no compromise on print output, we use high quality and industrial standard parts giving Kappa reliability and consistency. As a rule, all components go through a strict quality control process to provide the user with the best experience. Kappa’s frame is made from high-quality industrial-grade aluminium extrusion profiles giving it a sturdy and robust finish. 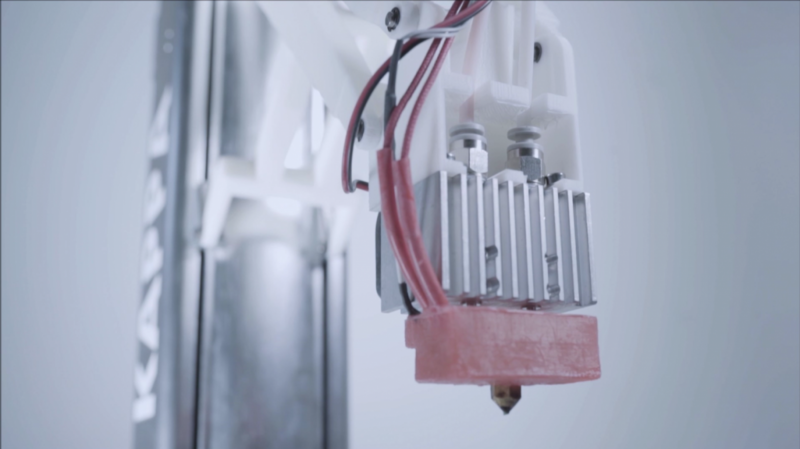 The heat generated by the internally housed motors and extruders is conducted throughout the aluminium profile tower, acting as a heat sink and allowing the printer to operate for longer time-span. 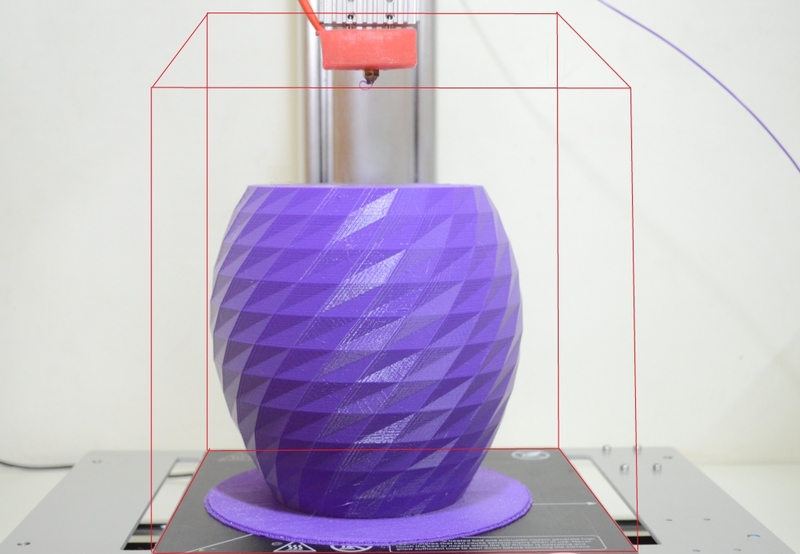 You may be able to obtain similar results from other 3D printers costing you more than double of Kappa’s. Setup in just 5 minutes!! Get started by fitting just six screws. It’s that simple. 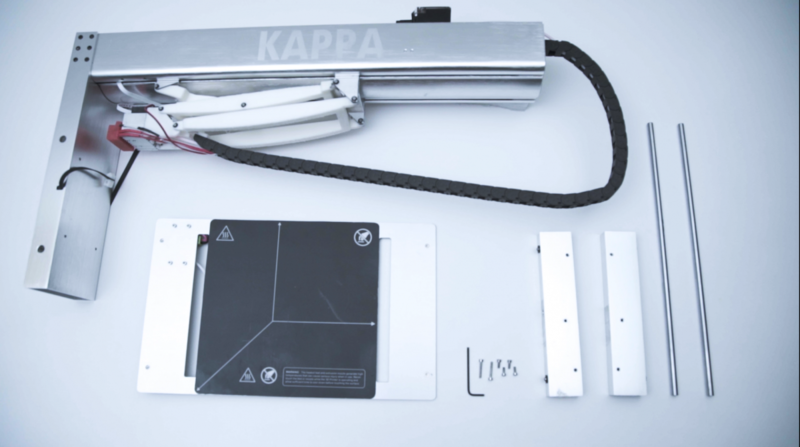 Kappa’s modular design gives you a great printing experience right out of the box. No complexities unlike others. Kappa’s brain is a powerful mbed LPC1768 32-bit micro-controller used for our complex kinematic calculations. 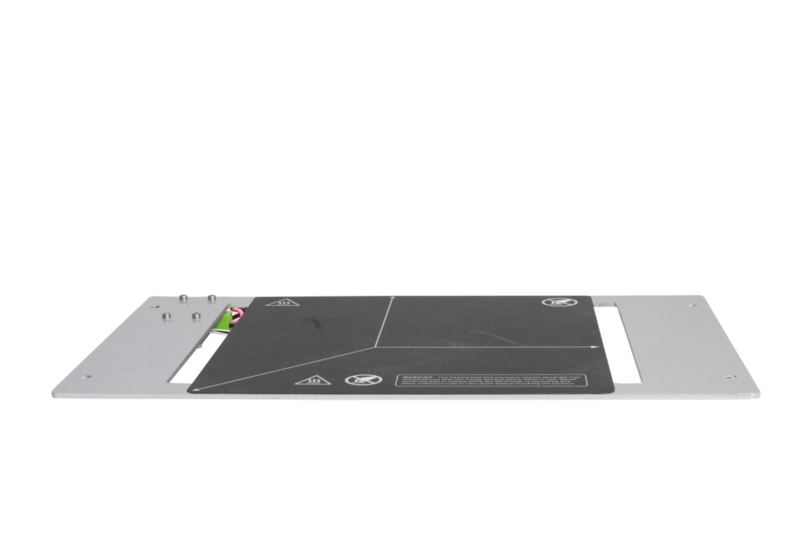 The custom-made, high-quality PCB board is slotted into the tower while other electronic modules fit onto and inside Kappa. No more dangling wires, confusing connectors, messy cabling or re-wiring issues which are noticeable in other machines. 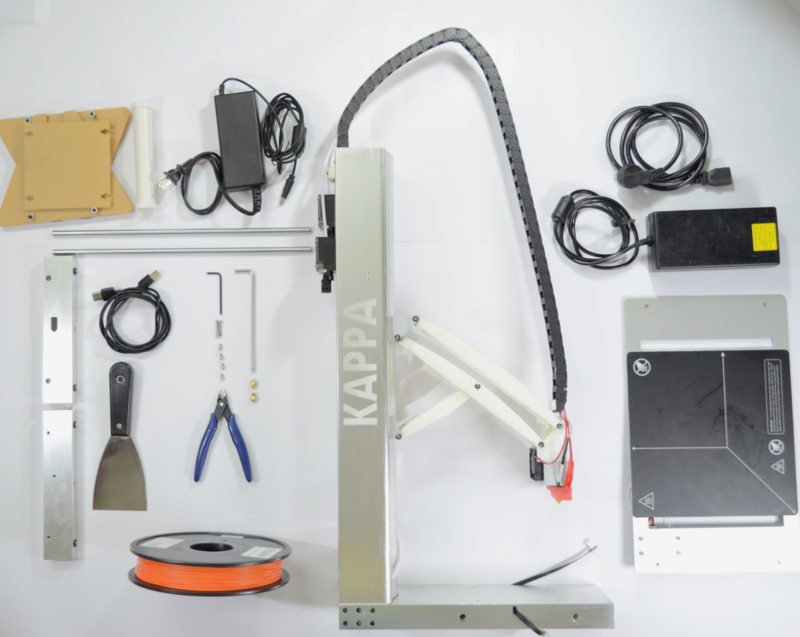 Kappa’s unique design uses high quality components and keeps the part count to a minimum in comparison to other 3D printer designs. This enables better performance, reducing the cost, the benefit of which is being passed on to the buyer of Kappa.